Is there any alternative to baseballs when collecting groups or themes of autographs on one piece? I think it can be done by mail. The low cost might surprise you. 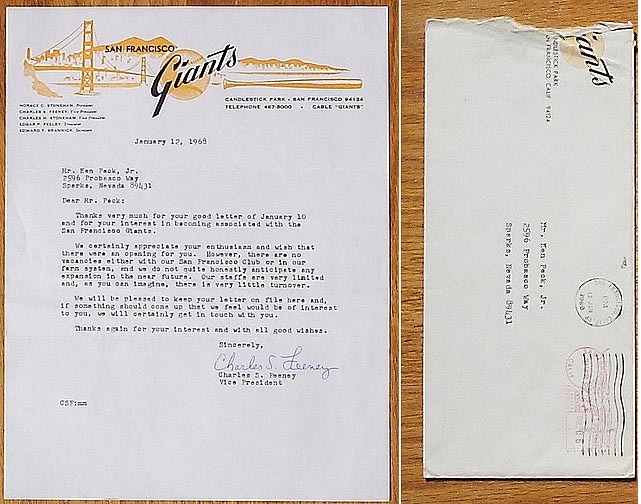 One of the best bargains remaining in sports memorabilia is team letterhead. Keep looking, and you’ll find unused sheets of stationery. Or, consider photoshopping a vintage logo onto card stock. Especially when the return address lists a bygone ballpark! Your wall would thank you for adding such a framed piece. “Yes, people collect letterheads to get great examples of team logos, usually highly detailed and in color. 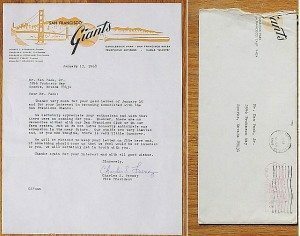 I recently purchased an autograph collection from a collector who kept all the original return envelopes, many with great football, baseball and basketball team logos on the envelope. This helped him authenticate the autographs when he sold them. Kevin said he’d be happy to answer reader questions. Contact him at Kevin@SportsArtifacts.com. Fewer Baseball Cards = More Autographs?